First off...I'm having a Give Away (Cuz I'm grateful for you)! I made 5 extra Turkeys to give away! If you would like them, comment on this blog and for an extra entry, comment on my Facebook Page! I will chose a random winner at midnight Friday night, November 21. I LOVE Thanksgiving. Probably no surprise to all my friends because I LOVE FOOD. But even more than that, I love the long dinner table and “I am grateful for” conversations! Unfortunately, if you have little ones, this part of the dinner could be dreadful. 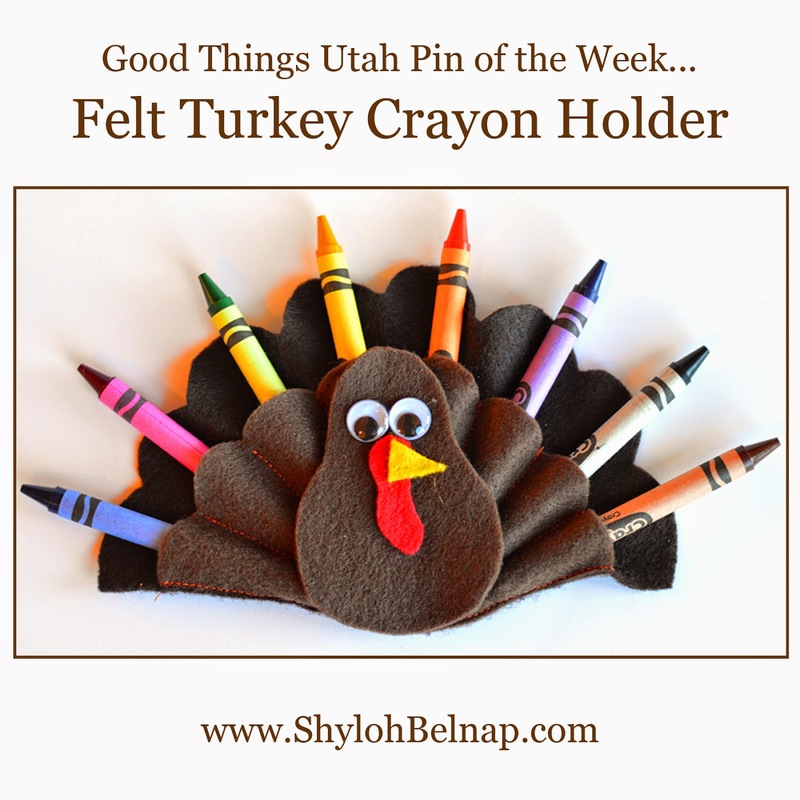 This darling Felt Turkey Crayon Holder would go along great with some fun Turkey coloring pages to keep the little ones entertained! 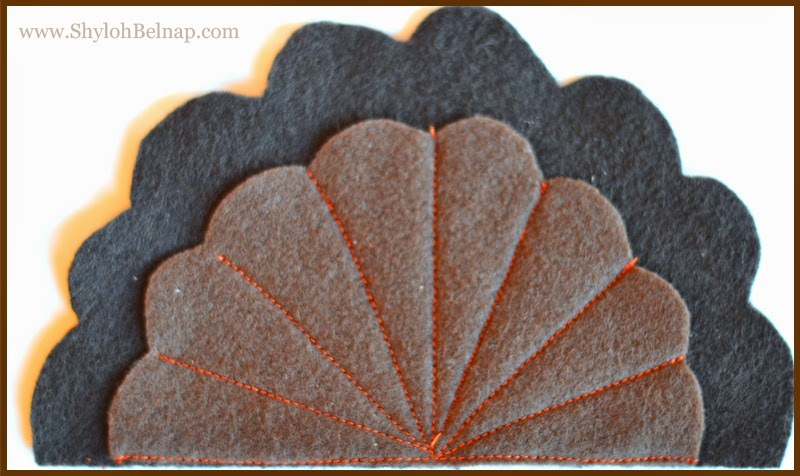 Download the template and cut out felt according to the pattern. I did the feathers with the dark brown, then I used light brown for the smaller feathers and the body. In looking at her original pin she used dark for both of the feathers and only light on the body. I would probably go with what she did. She is the expert. I did change the red felt for the wattle a little bit. I cut it according to the template and it seemed to short for me so mine are about twice as long as the template. 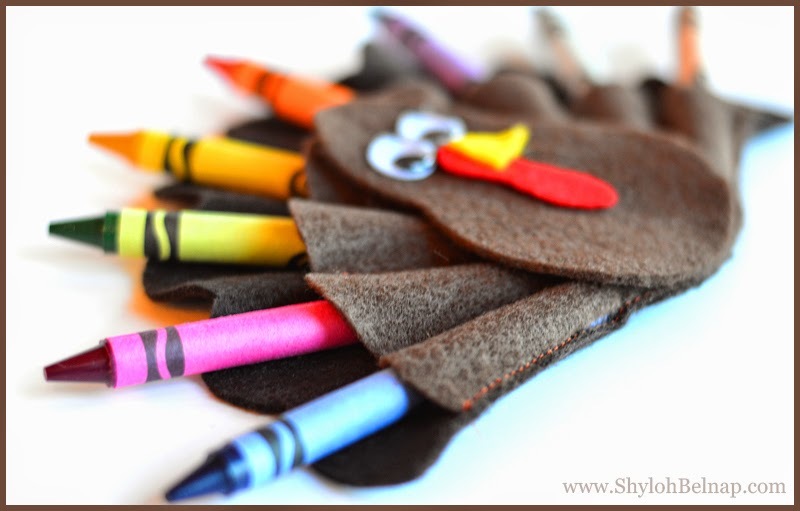 Put your smaller feathers on top of the large feathers and sew your crayon pockets. And no... for those of you who know me well.... I did not hire a seamstress hahaha I actually did sew this myself. And.. I had brown thread to use. 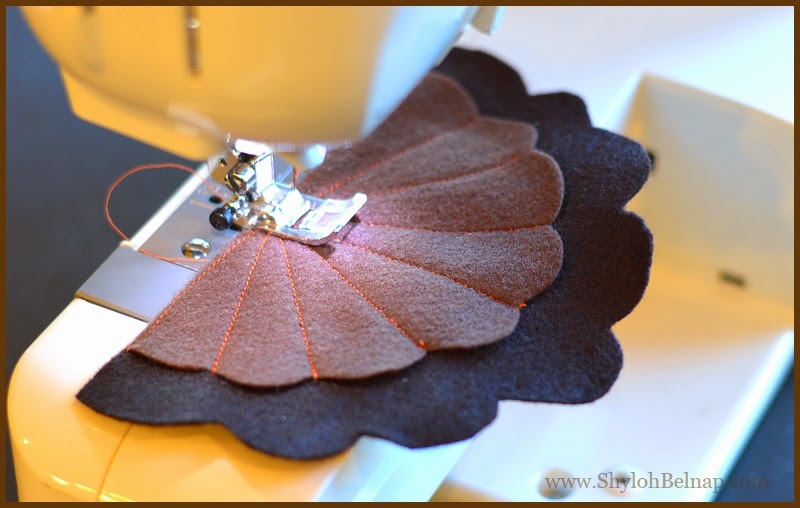 I used this orange for my sample so I could show the stitching but then I kinda decided I love the orange and kept it for all the turkeys I made. Add your crayons (Don't you LOVE the smell of crayons)! 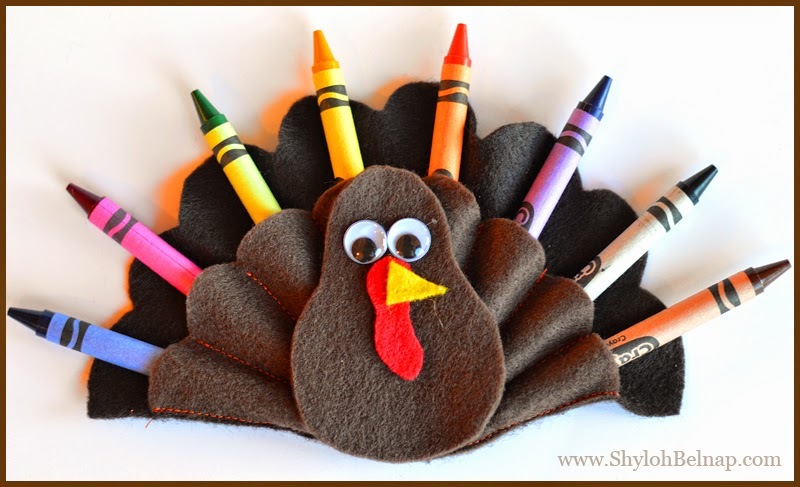 Glue your wattle, beak and eyes to your turkey body and then glue it on top like the picture! LOVE THIS PIN! And to be honest, I kinda fell in love with the blog of the original pin. She has endless things on there. I bet I use her way more often. Check it out! 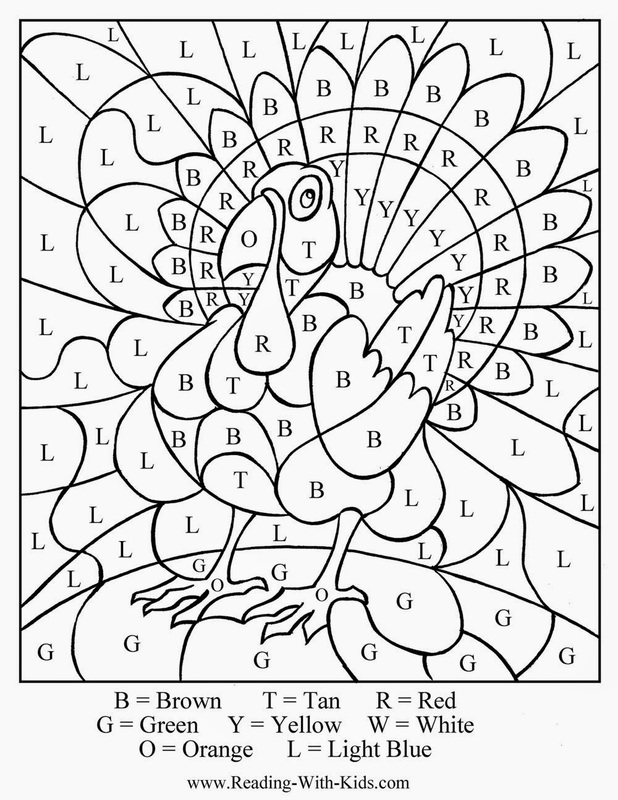 Didn't you always love these types of coloring pages? I did! Here is the link for this one! This blog has a ton of printable links! I think she will get you totally taken care of with just her blog post.